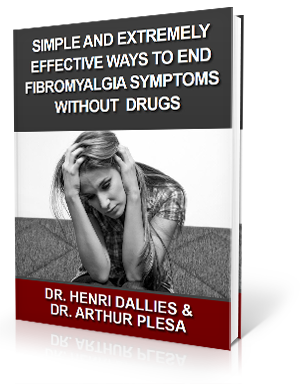 Home » Blog » Fibromyalgia » Do You Have Fibromyalgia? Can Anything Help the Pain? You may have heard horror stories about people with fibromyalgia (FM). However, what if you begin having symptoms indicating you may have it as well? This can be very frightening and something most people do not want to face. However, take comfort in the fact that FM does not have to be as bad as you have heard. In fact, there is an type of care that helps ease the symptoms. We will discuss what this is later in the article. First, let’s look at the most common symptoms of FM. Fibromyalgia is a musculoskeletal condition that intensifies the way the brain interprets pain. This means pain receptors in the brains of those with FM are often in hyper speed all the time. What feels like a light touch or pressure to those without FM can be perceived by those with FM as major pain lasting far longer than normally expected. It often begins after a major trauma of some sort. This can be an accident, surgery, or even immense psychological stress. Fibromyalgia patients often have a variety of symptoms which can differ for each individual. The following is a list of the most common symptoms of this condition. Pain: Pain is the foremost condition of fibromyalgia. However, it may show up in a number of different ways and in different areas of the body. Some people may experience constant, sharp, stabbing pain throughout the entire body. Others say they have a duller, chronic aching, similar to having the flu. In yet others, the pain of fibromyalgia may be in one specific area, or it may cluster around many pain locations. One of the most frustrating parts of FM is that the pain is not connected to any specific reason or event. Some patients have certain identifiable pain triggers, such as weather changes (temperature changes, humidity level changes, and rising and falling pressure), stressful situations at work or in their personal lives, or other traumatic events. Fibromyalgia seems to have a strong psychological connection, according to research. Sensitivity to touch: Other words used to describe this are hyperesthesia and hyperalgesia. Hyperesthesia is the increased sensitivity to the sensory input of touch. This means even being under a light blanket makes you feel as if you are under a very heavy weight. As far as hyperalgesia is concerned, pain sensation is involved. For example, stubbing your toe on something causes you to feel excruciating and throbbing pain for many hours or days afterward. These conditions can become so severe that they cause the person suffering to be unable to perform his or her normal routine tasks. It seems common for these kinds of symptoms to flare up and then alleviate in a cycle. Sensitivity to your environment: Sensory problems often go beyond touch in people with FM. Their environmental influences can cause them some issues. These can be things that people without FM have no problem with. For example, cigarette smoke or a freshly painted room can instantly cause nausea or a headache. Chemical-based cleaning products can be a trigger, causing patients with FM to not be able to use them at all. Sounds, even those not really all that loud, can be perceived as noisy and can lead to headaches and other problems. Light can cause issues, too. The lights may seem extremely bright even if they are not. Joint and muscle stiffness: Feeling stiff in the joints and muscles is common for FM patients. This can happen without any clear reason. It is normal to get this after going through an intense workout, but with FM patients, it comes on automatically without a trigger. It may be throughout the body or in one certain location. Sometimes it is worse in the morning or after sitting still for a long time. Getting up and moving does not result in any kind of relief. In fact, it may be worse for some people after any kind of activity. Pain relievers do not offer any relief either. Muscle spasms: We all have muscle spasms at one time or another. FM patients seem to have intense spasms with no medical cause. Sometimes, one specific set of muscles is impacted and goes into spasms over and over. In other situations, the patient finds it impossible to predict when or where the spasms will strike. However, fibromyalgia muscle spasms usually follow a specific pattern. Usually one muscle group is affected again and again, with the most intense spasms coming at night. This can disrupt your sleep and come on without warning. A connection has been seen between fibromyalgia and a misalignment in the top bones of the neck. If the C1 or C2 vertebra is misaligned, it can put pressure on the brainstem. The brainstem is the communication superhighway of the body. It tells the brain what is going on in the body. If it is malfunctioning, it may send improper signals to the brain. This explains how a physical trauma, such as a car accident, can bring about fibromyalgia symptoms. If the accident causes the neck bones to misalign, the brainstem can begin telling the brain the body is in pain, when it really is not. Therefore, correcting the misalignment can lead to relief of the symptoms of fibromyalgia. In order to correct these symptoms, we use a gentle method that does not require us to pop or crack the neck or spine to get positive results. Rather, we encourage the bones to move back into place naturally, leading to longer-lasting results. Many patients report seeing an improvement or even an end to FM symptoms after just a few adjustments. ← What Are Cluster Headaches? Can Anything Help Them?